Operators, process engineers, maintenance personnel, and manufacturing managers and supervisors. Perhaps one of the most important yet underappreciated aspects of lean is reducing the time to set-up or changeover processes from one product to another. Whenever process equipment is being “set-up” or “changed-over” to make the next part, it is not productive and “waste” is incurred. Reducing set-up time converts time equipment is shutdown being reconfigured to make another product into productive time. When this is achieved, many benefits are realized. Reducing the time it takes to set-up equipment increases the available capacity to make more product. If you can “sell the capacity” that becomes available, there is a direct benefit to the bottom line. Reduced set-up times lead to greater operational flexibility providing the ability to respond quickly to customer needs. Set-Up Reduction Basics introduces learners to the importance of quick equipment changeover and teaches the basic tools to reduce set-up time. Describe the purpose and benefits of reducing set-up time. Show the relationship between the Seven Wastes and Set-Up Reduction. Identify the key components of set-up reduction and explain the role each plays in reducing set-up time. Explain the difference between internal and external set-up time. Convert internal set-up tasks to external ones. Combine or eliminate set-up activities. Minimize the use of tools and optimize the use of fasteners. Monitor and subsequently improve performance. 5S’s: Workplace Organization – Comprehensive training in the concepts and application of the 5S’s (Sort, Set in Order, Shine, Standardize and Sustain) and how to apply these techniques on the job. 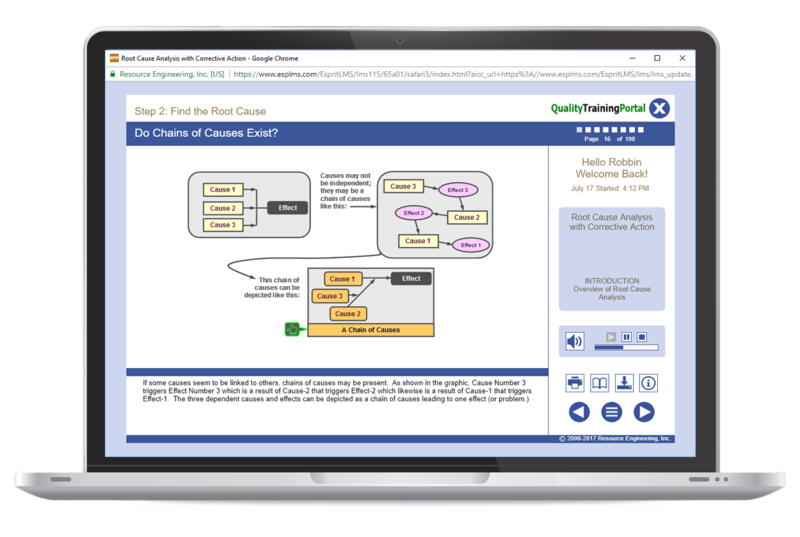 Lean Manufacturing – Online training that provides learners with a comprehensive understanding of how Lean Manufacturing works in a manufacturing environment. This course is a great way to learn about set-up reduction. It is taken from our comprehensive Lean for Job Shops course. If you have already taken the Lean for Job Shops course, you have already seen the content covered in Set-Up Reduction. What are the benefits of set-up reduction? How do ineffective set-up practices contribute to the “Seven Wastes” especially in the Overproduction, Inventory and Waiting categories. How do ineffective set-up practices contribute to the "Seven Wastes" especially in the Overproduction, Inventory and Waiting categories.